US 56/KS 156 entering Great Bend, KS. 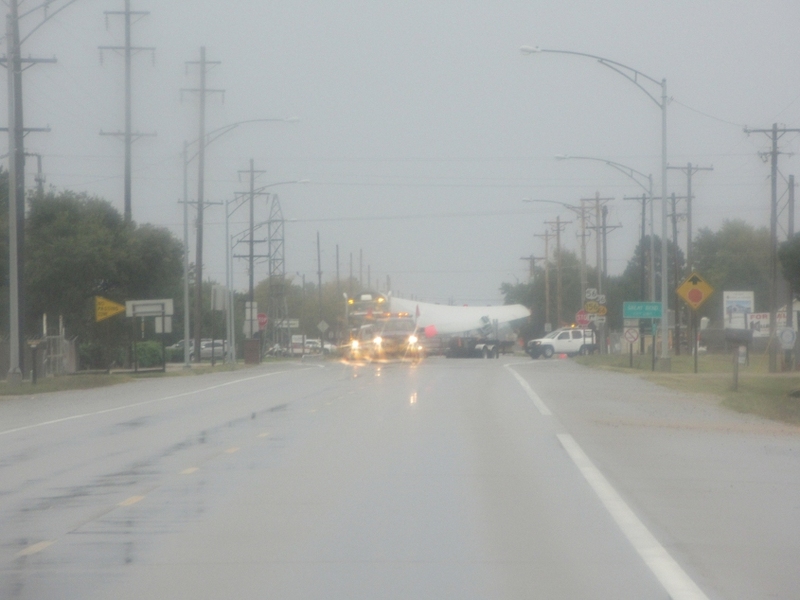 The issue here is that oversized truck turning onto the road and blocking traffic in the rain. 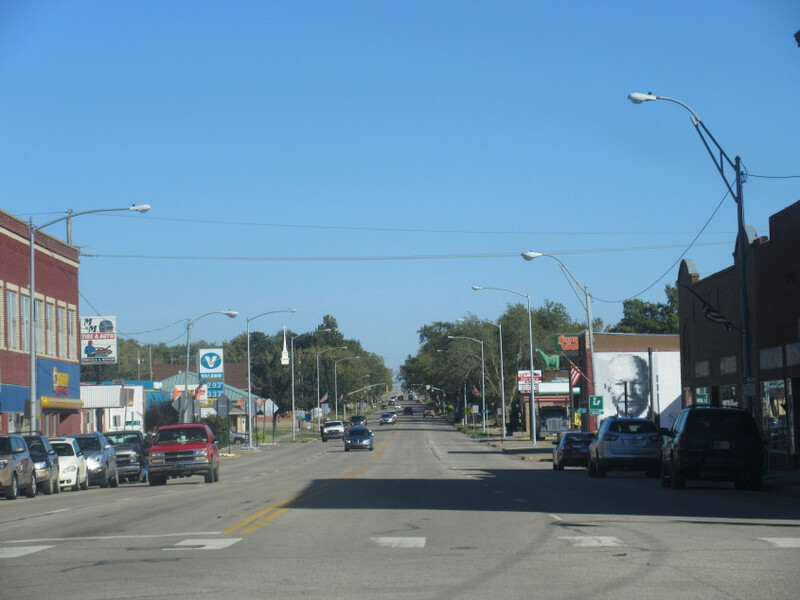 KS 15 (Buckeye Avenue) in Abilene, KS. 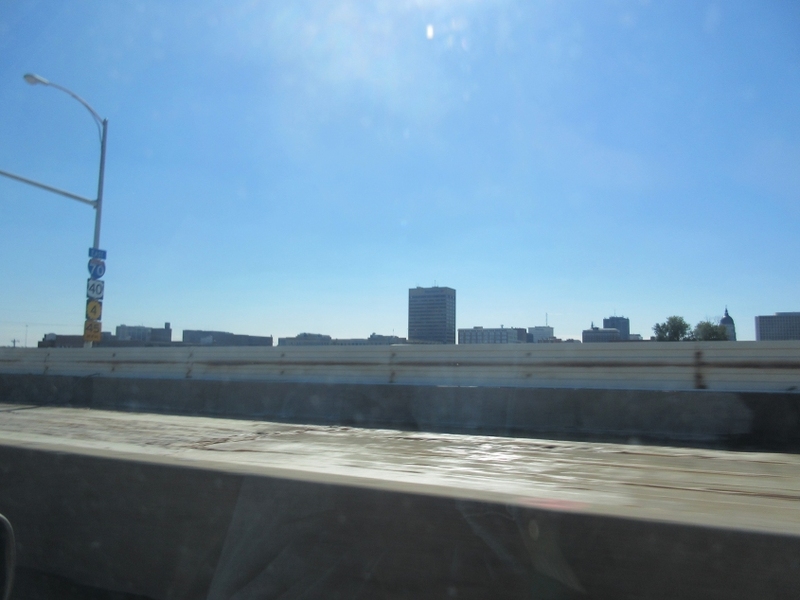 The Dwight Eisenhower Presidential Library and Museum is at left. In keeping with this website's roadly theme, President Eisenhower signed the Interstate highway system into law in 1956. Eisenhower had been inspired by the 1919 Motor Transport Corps convoy, which he participated in as a young Army officer. The convoy went from Washington to San Francisco, and America's roads were so primitive in 1919 that the event took 2 months, ruined many bridges, and injured many soldiers. 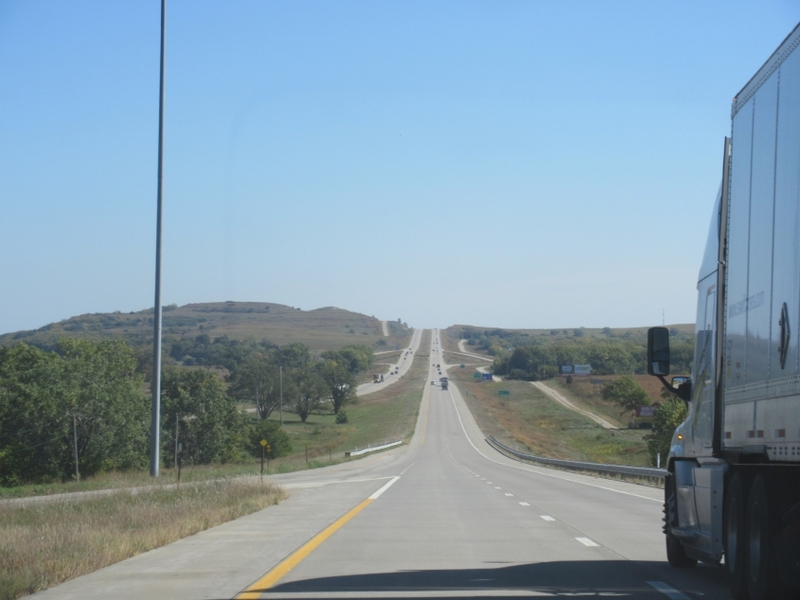 It took 2 hours to travel 5 miles from Council Bluffs, IA, to Omaha, NE. 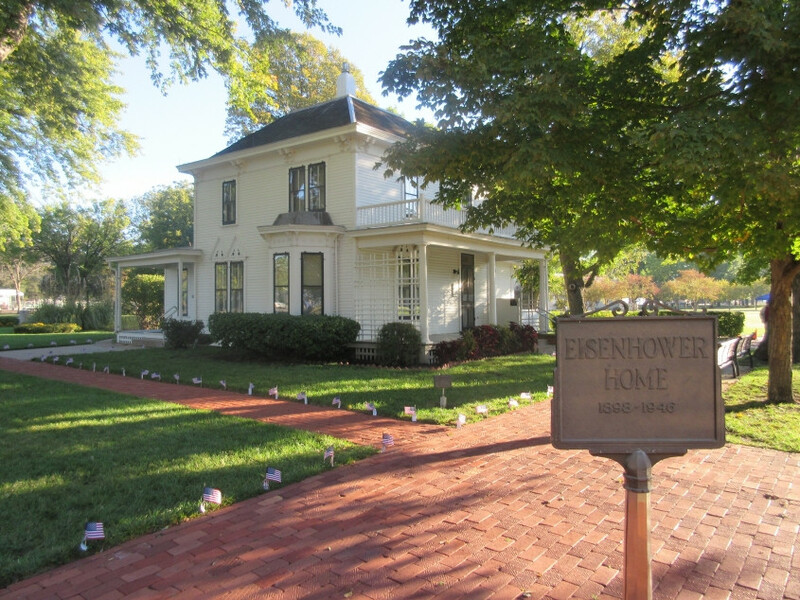 Eisenhower's home. Coincidentally, we visited the Eisenhower site on Eisenhower Day, so there was a big ceremony on the premises that drew visitors from everywhere. KS 15 again. All of Abilene is Eisenhowercentric. See the mural of him at right. 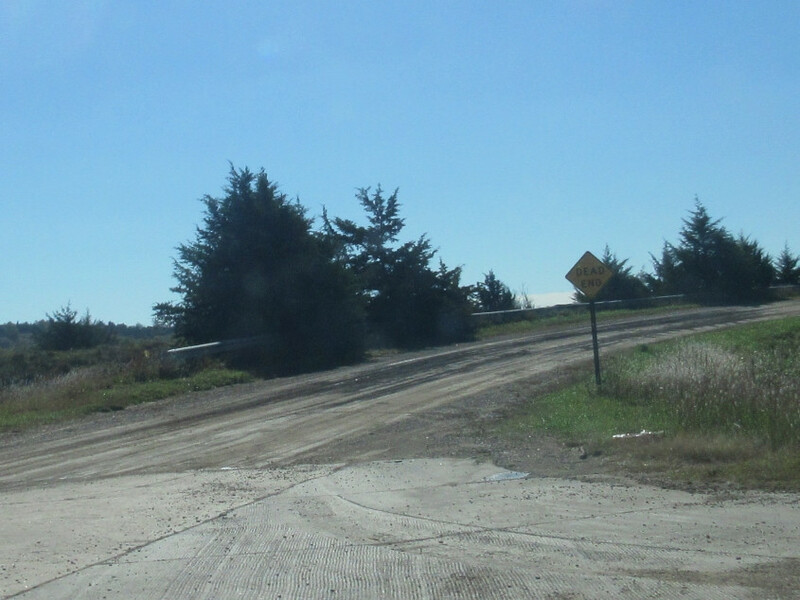 I have no idea where this unpaved road is. This is an even bigger mystery. 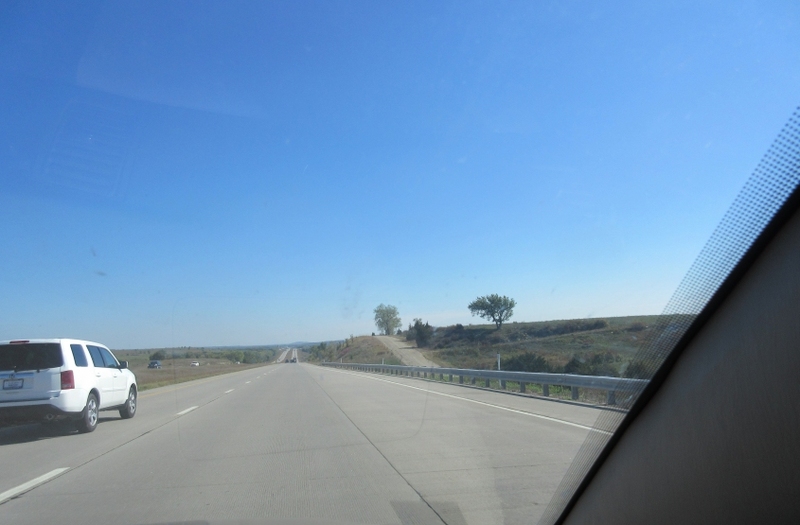 I-70/US 40 near Alma, KS. 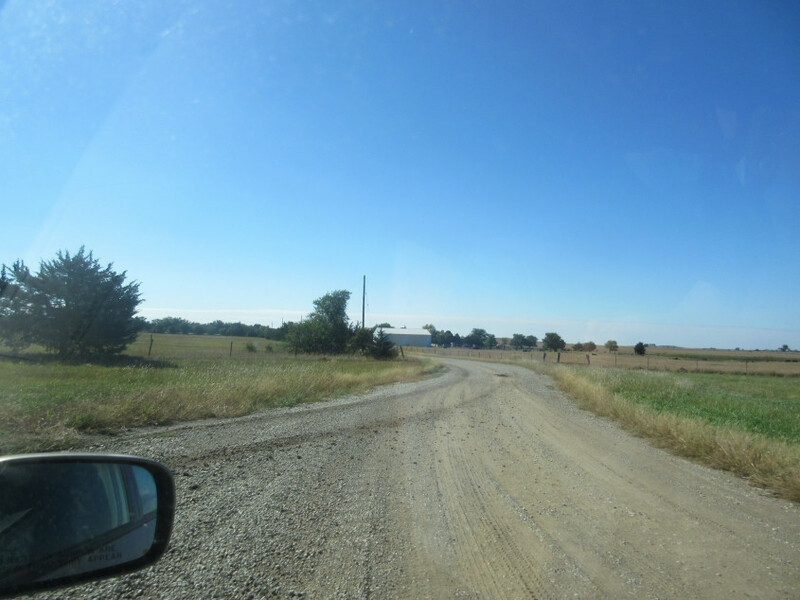 Disappointingly, the road at right was not the old US 40, and may be only as new as the Interstate. But I-70 here overlays the old KS 10. 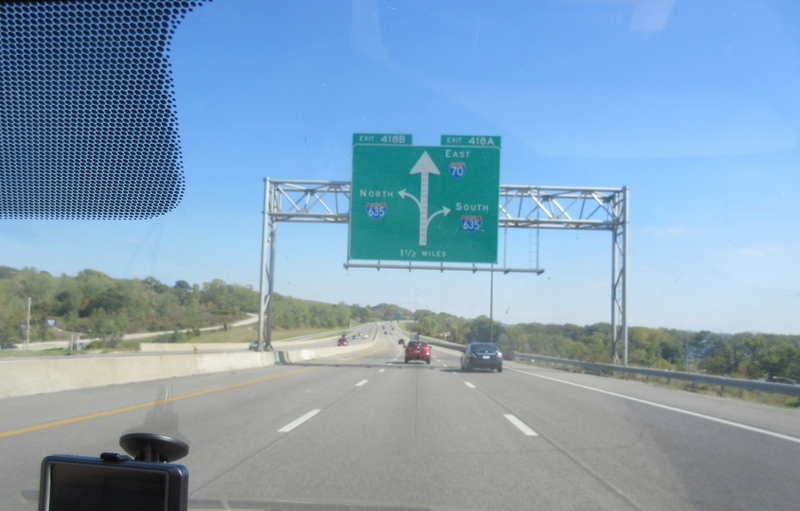 Approaching the Vera Road exit on I-70. 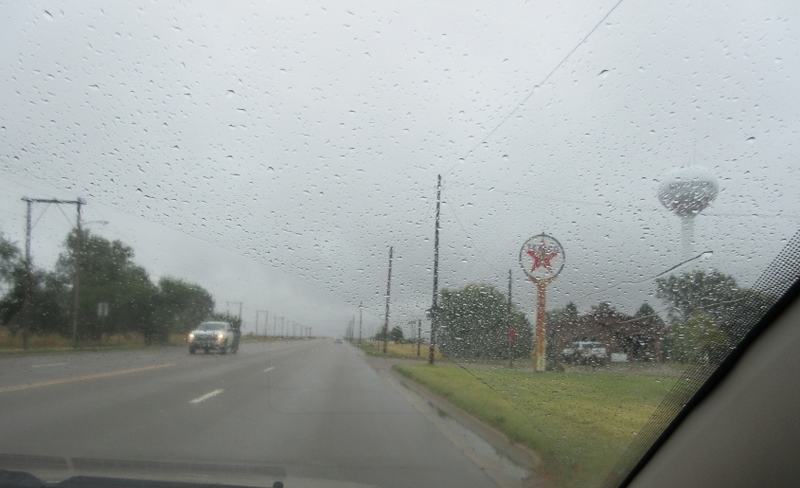 Again, the frontage road is relatively new, but the freeway overlaid KS 10. 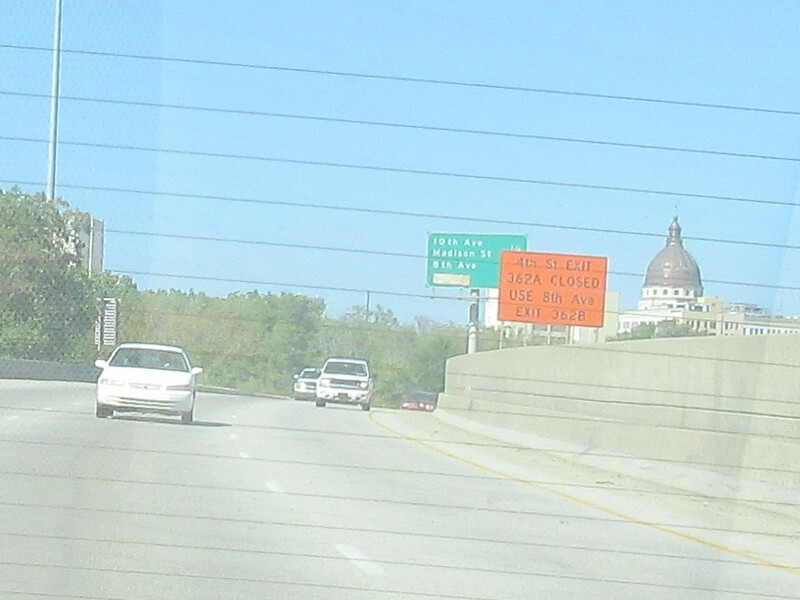 I-70/US 40/KS 4 in Topeka. We're routed on the other side of the freeway by construction. 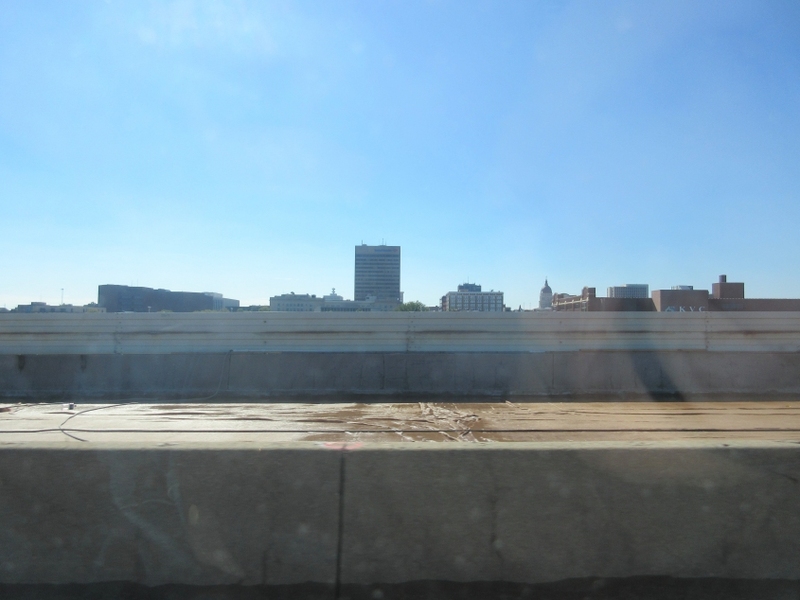 A view of downtown Topeka from I-70. The skyscraper that looms over town is the Bank of America building. The Kansas State Capitol is at right. Another view of Topeka and I-70 construction. Looking back at the State Capitol. Another view looking back at Topeka on I-70. 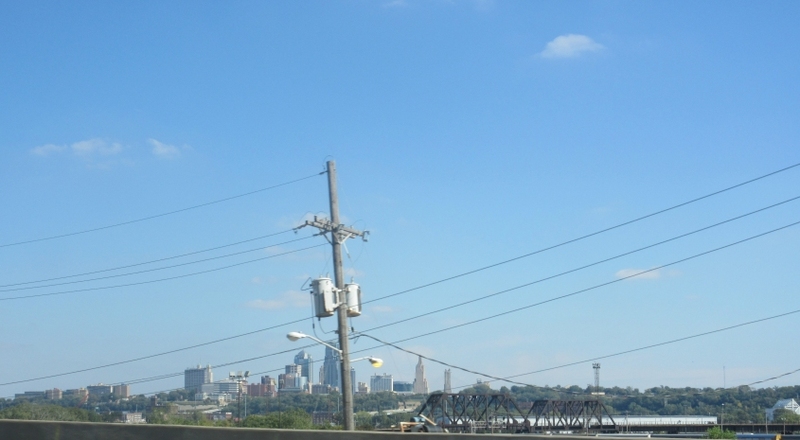 Still in Kansas, but this is a view of Kansas City, MO. We're still on I-70, which also has US 24 and US 40 here. Look how big the point on that arrow is! 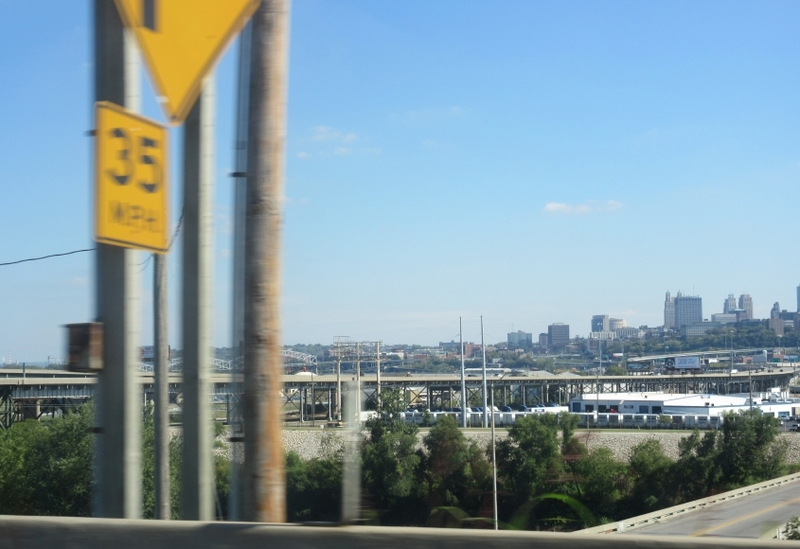 I-635 is sort of a lateral freeway in Kansas City, KS. 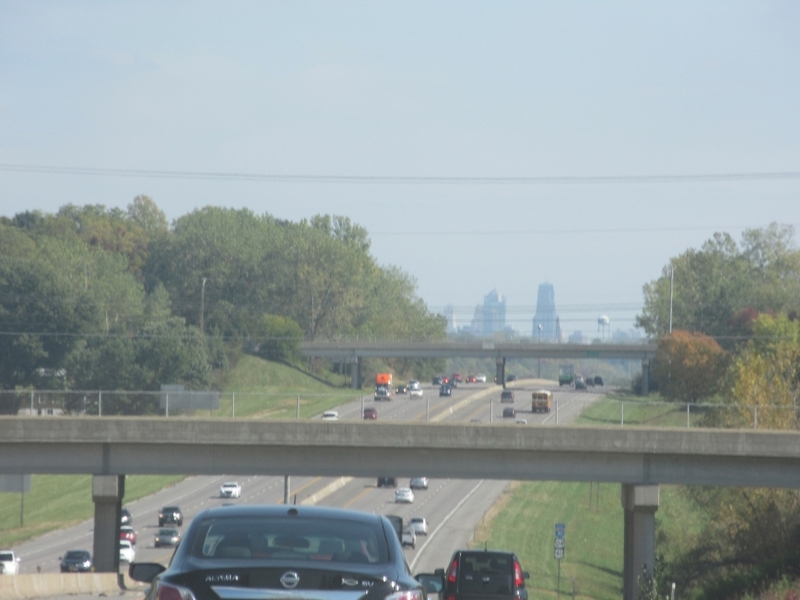 The Kansas City area is known for having too many freeways. Look at it on a map, and you may see what I mean. Kansas City, MO, again. The bridge in the foreground would be a rail span - really a viaduct - over a railyard in Kansas City, KS. 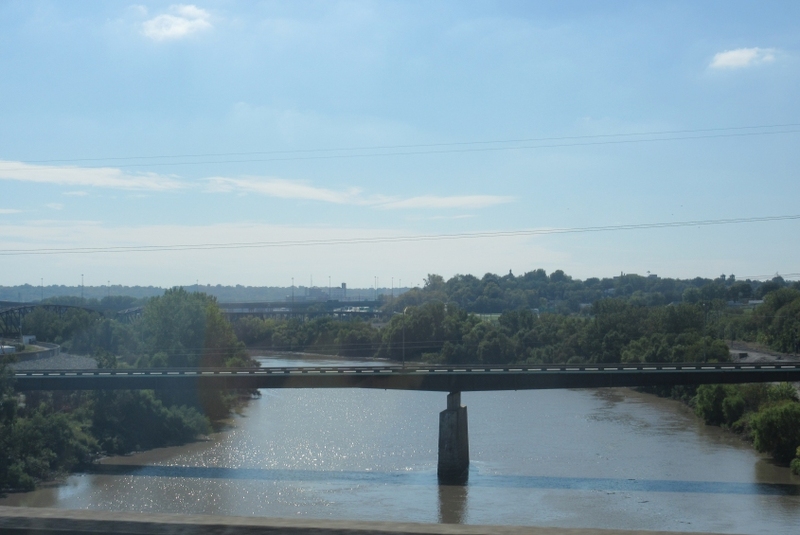 The bridge at right might be the Central Avenue Viaduct over the Kansas River. That's a guess. An educated and intelligent guess, that is. This is an old rail bridge over the Kansas River whose approaches have been removed. The bridge's westernmost span (at right) is very strange and lopsided. Based on all the above knowledge, this appears to be a view of the I-70 bridge over the Kansas River. 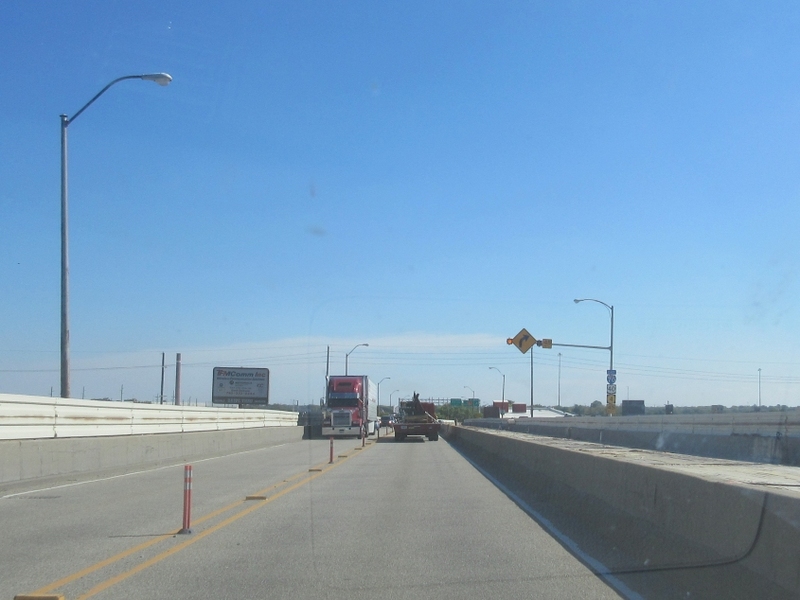 If you look deep in the background - behind that bridge and the signposts at center left - you can peep US 169's Broadway Bridge over the Missouri River way over in Missouri. Despite its more modern appearance, it opened in 1956. A closer view of the I-70 bridge. Still in Kansas, we cross the Kansas River on I-70. 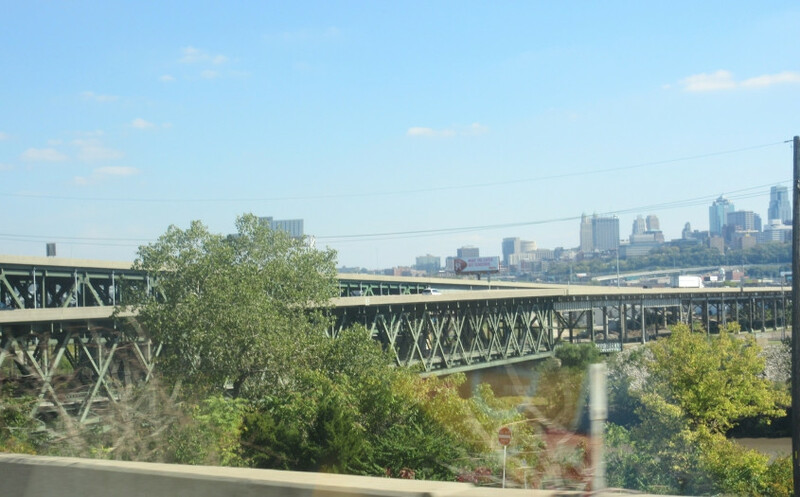 You see the James Street Bridge, a 1987 span that replaced a 1904 bridge. Behind it at left, you see the aforementioned abandoned rail bridge.